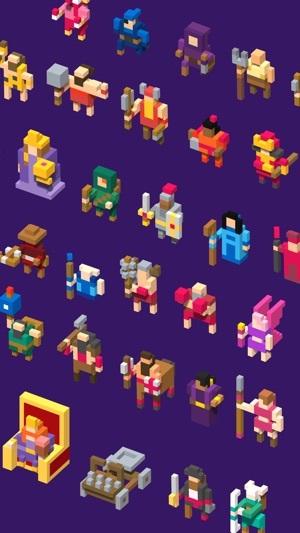 Endless dungeons, epic boss battles, and tons of unique heroes with special abilities. What more could an adventurer like yourself ask for? - Supports all modern iOS devices in portrait and landscape! Added support for the latest and greatest iOS devices! 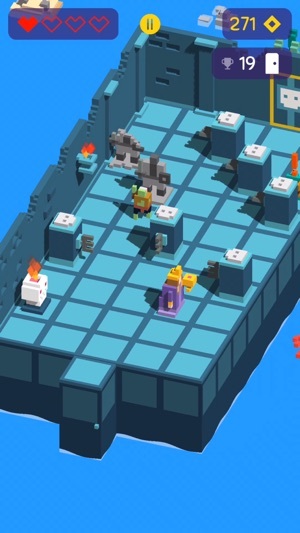 This slick dungeon crawler’s look and feel might be inspired by Crossy Road, but Looty Dungeon spins the genre in a fresh direction players will love. 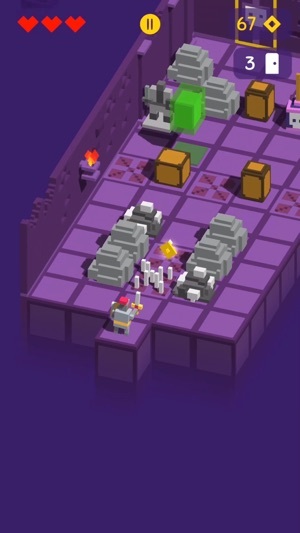 Evade traps, collect treasure and slay monsters one hop at a time, all in endless underground chambers rendered in a charming retro style. Navigating its dangers with effortless controls and swapping unlockable characters—each with different heroic abilities—is a gloriously blocky blast. So good, so very good! Avian 688 is wrong on three main points in his/her review. It is not cross roads (I think the person meant Crosby Roads) with an RPG twist. There is no levelling system where your hero can progress and eventually unlock new outfits. You do not need a different strategy to beat each boss as the same one will do! What you do have in this game is control of one of MANY characters. Each character plays in a different way. 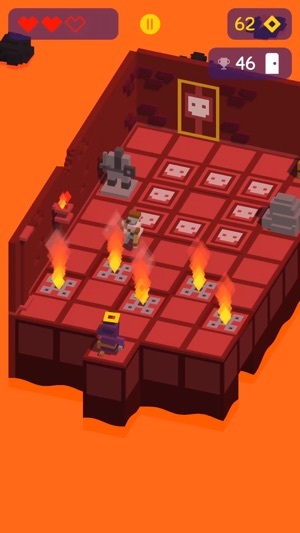 There are two purposes to this game, one is to get through as many rooms as possible while avoiding the many hazards, the other is to collect as many coins as you can as you go! That Is it! This is the second time I’ve left a review for this game and like last time it is four stars because of the six hours waiting time to get new quests/missions. Especially as they can be completed in a short space of time which is a shame. 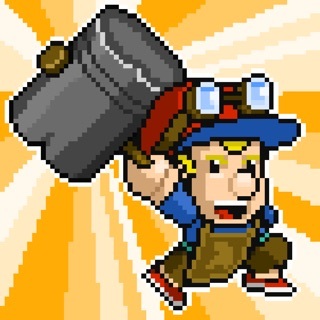 In-app purchases are the MANY characters and the missions are the ONLY things you have to wait for which is fantastic! 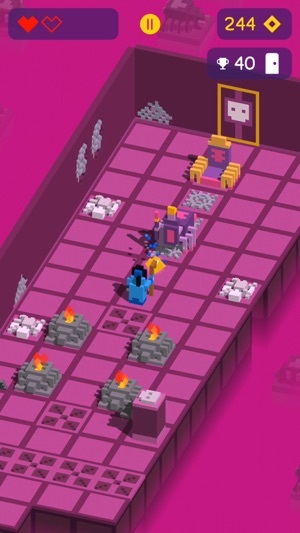 If you like dungeon crawlers this is a dungeon crawler-type game that you will not be disappointed in giving a try!